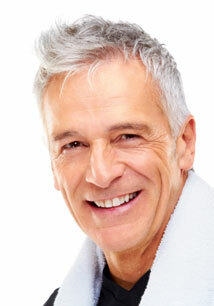 Dysport®/Botox® - Say Goodbye To Frown Lines. Neurotoxin is used to help soften the "frown lines" or "expression lines" our faces make. These lines are created when our skin is creased over and over again from making the same expression a thousand times. Injecting a few drops into the muscle that creates the wrinkle blocks the nerve impulse from reaching that area, and the result is that the muscle stops working. As the muscle stays turned off, the skin over the muscle relaxes and the wrinkles in the skin gradually soften and often disappear. Dysport®/Botox® are purified protein toxin produced by clostridium botulinum bacteria. Although this is a toxin, there have been no serious side effects. This is because it is used in extremely small amounts and does not spread throughout the body. The effect can last three to five months, at which time another injection is needed. After several treatments, the effect begins to last longer. Frown lines and furrows are now smoother, giving the skin a more youthful and rested appearance.